This is the frugal man’s filet mignon. When tri tip roasts are on sale you can pick one up for around $3.99 per pound. From this roast you can cut about four nice 2” steaks and have lots of meat left to turn into a great beef stew. This can be a very inexpensive and flavorful cut of beef if seasoned and cooked properly. You will not get the butter tenderness of the fillet but you will get a very tender piece of meat with a great beef flavor. 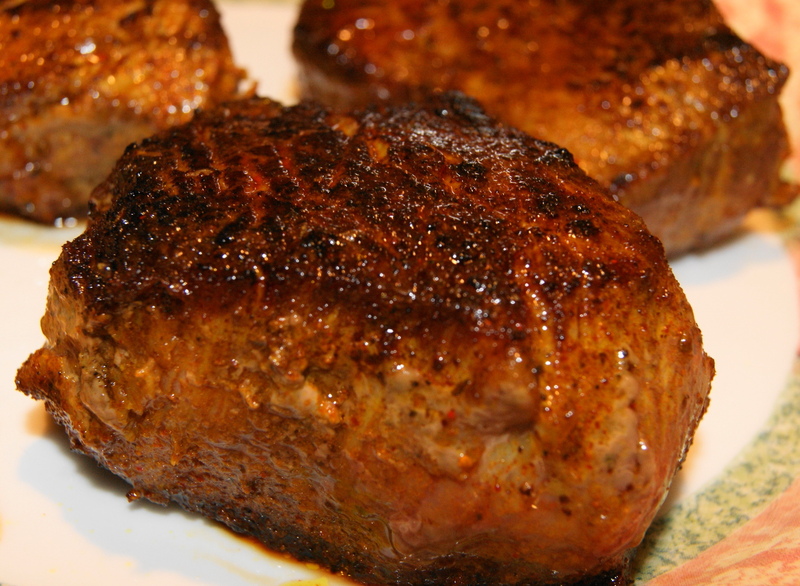 Season the steaks with the all-purpose spice rub and let sit at room temperature for around 30 minutes. Heat the olive oil and butter in a skillet over medium heat. Add steaks, brown on both sides cooking to a medium rare doneness. Transfer to a plate and let rest for ten minutes before serving. Serve with steamed asparagus and roasted potatoes. You can eliminate the butter if you are watching calories without hurting the outcome.